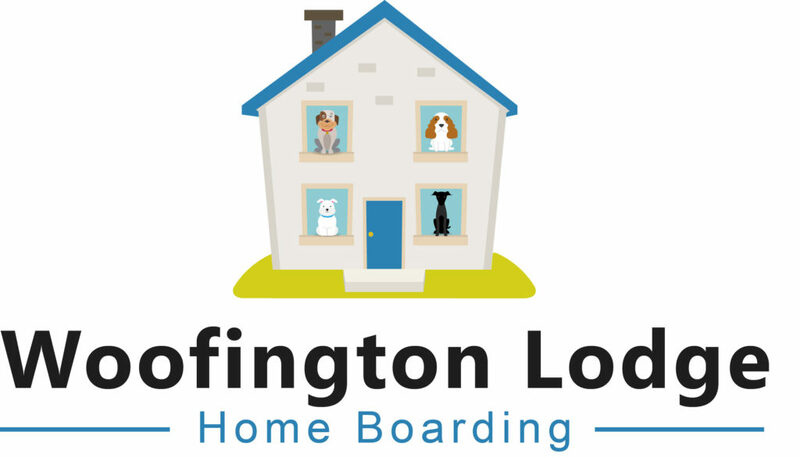 Welcome to Woofington Lodge – a 5-star rated premium home boarding service for dogs. The Lodge was founded in 2015 by Marie Howard-Deeth (FdSc, MADPT 01289). Marie is licensed with Hyndburn Borough Council who inspect the premises every year (License number 001473). In 2019 Woofington Lodge was rated as a 5 star boarding establishment by the Council. The Lodge has been specially adapted both inside and outdoors with a dog’s safety and comfort in mind. Whilst the Lodge can board up to 5 dogs, Marie prefers to take dogs from one family wherever possible. A kennel environment is not suitable for some dogs. They can experience kennel stress due to boredom, lack of exercise and lack of human and canine companionship. At Woofington Lodge, all dogs are treated with kindness and respect, exercised to owners’ specifications, fed at times similar to your home and have free run of Marie’s garden and home. They will be surrounded by Marie’s dogs, their own belongings and toys and will have a human around most times during a day/evening. The welfare of dogs is extremely important to Marie so it is important that an assessment visit is undertaken before your dog stays. This is to ensure that your dog(s) get on with Marie’s permanent residents and that you are happy with the boarding accommodation for your dog’s stay. Marie & Patrick provide a home-from-home environment for your dog(s) who will be treated as part of the family whilst you are away, living indoors with the resident dogs. Woofington Lodge is located close to wonderful walks in Hyndburn and the Ribble Valley for exercise, exploration and play. Full details of your dog’s daily routine are taken to help them settle in quickly. Your dog(s) will have play time, regular walks and be given time to relax. Marie is a fully qualified trainer and behaviourist so can carefully manage the Lodge environment to ensure your dog’s welfare, safety and happiness is maintained at all times. As you can appreciate, Marie is out and about training dogs so any dogs boarding with her must be able to be left with her dogs for a maximum of 3 hours. Marie cannot accept any aggressive dogs or Wolf Hybrids at the Lodge nor any dogs listed in the Dangerous Dogs Act 1991. Marie looks forward to boarding your dogs and hope that her service will provide you with peace of mind whilst you are away. You are welcome to bring whatever you feel will make your dog’s stay more comfortable, for example, bed/bedding/crates, toys and treats. All bookings require a 25% deposit to secure the dates. This is non-refundable. If the booking is less than 14 days, the full amount will be requested in advance. All payments are made on drop off of your dog and prior to your holiday. Christmas/New year fortnight, Easter and bank holidays will all be charged at double rates. No dog will be accepted unless vaccinations and flea/worming schedules are up to date. This is because Marie has dogs of her own and seeks to protect them from contagious/serious diseases. There is no requirement to get the Kennel Cough vaccine. Herbal supplements used for the prevention of fleas/ticks and worms are accepted. Titer testing is also accepted. Due to the new DEFRA regulations 2018 on home boarding and kennel establishments, there is a lot of initial paperwork to complete. Be rest assured that the majority will only need to be completed once. Please ensure you read and note the terms and conditions. It is preferable that owners drop their dog(s) off at the Lodge, however a collection and delivery service can be arranged with prior agreement. This will incur an additional charge. If you cancel your boarding with Marie, you must give 1 months notice so that this date can be made available to other pet owners. Failure to do so will require you to pay 50% of the fees. No future bookings will be allowed until prior cancellation fees are paid in full. Please click the link to our booking form and terms and conditions for more information.